Monday is the starting day of the professional week. A Monday started well in office is the week half completed with success. 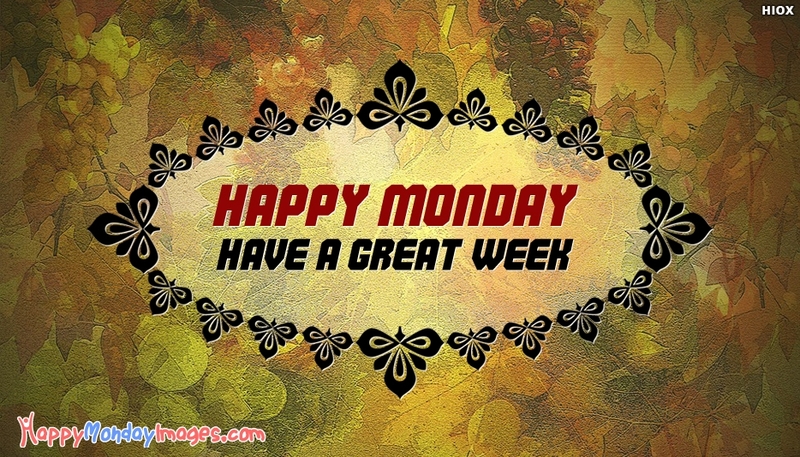 Here is a cute Happy Monday picture with a lovely colourful background design and the message "Happy Monday Have A Great Week". Wish your dear ones to have a great week in office and in their personal lives by sharing this beautiful happy Monday picture via facebook, whatsapp, etc.